Data and Visualization Services is happy to announce its Fall 2016 Workshop Series. 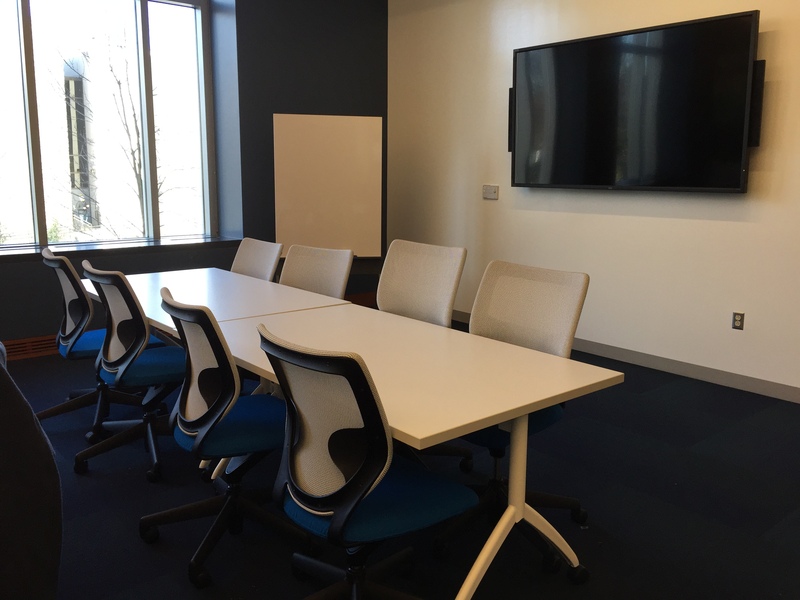 Learn new ways of enhancing your research with a wide range of data driven research methods, data tools, and data sources. 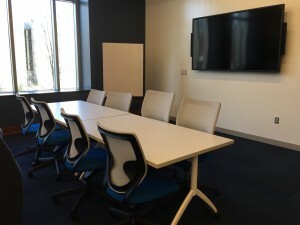 Can’t attend a session? We record and share most of our workshops online. We are also happy to consult on any of the topics above in person. We look forward to seeing you in the workshops, in the library, or online! Ever have trouble conceptualizing your project workflow? ModelBuilder allows you to plan your project before you run any tools. 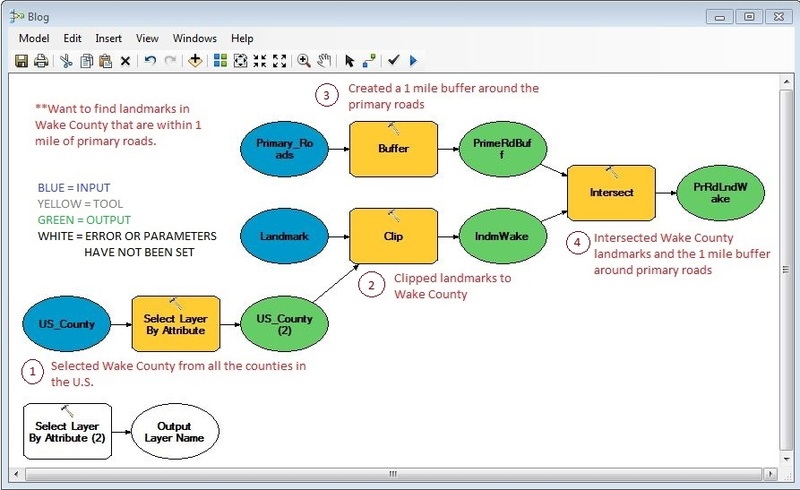 When using ModelBuilder in ESRI’s ArcMap, you create a workflow of your project by adding the data and tools you need. To open ModelBuilder, click the ModelBuilder icon ( ) in the Standard Toolbar. ModelBuilder can only be created and saved in a toolbox. In order to create your model, you first need to create a new toolbox in the Toolboxes, MyToolboxes folders in ArcCatalog. Once you have a new toolbox, you will need to create a new Model; to do this, right click your newly created toolbox and select New, then Model. When you wish to open an existing ModelBuilder, find your toolbox, right click your Model and select Edit. 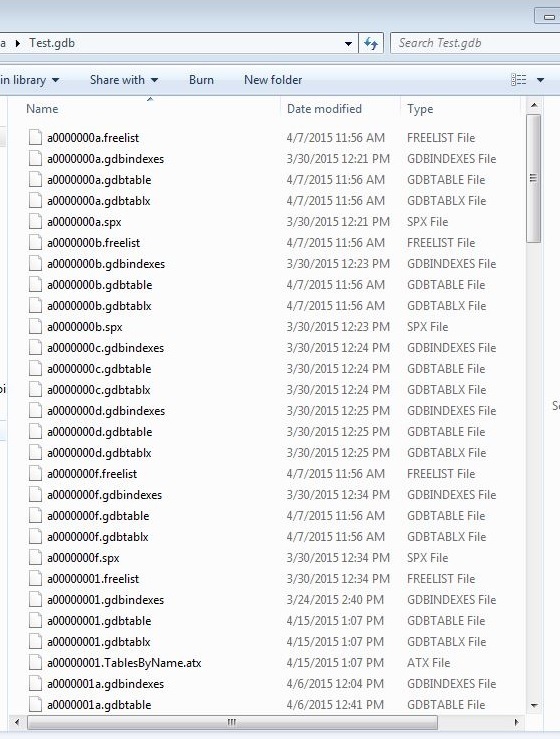 In order to find the results of your model and the data created in the middle of your project workflow (also known as intermediate data), you will need to direct the data to any workspace or a Scratch Geodatabase. 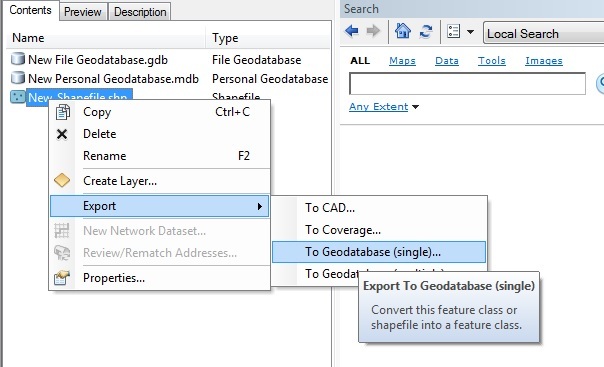 To set your data results to a Scratch Geodatabase in ModelBuilder, click Model, then Model Properties. A dialog box will open and you will want to select the Environments tab, Workspace category, and check Scratch Workspace. Before closing the dialog box, select “Values” and navigate to your workspace or your geodatabase. To create a model, click the Add Data or Tool button ( ). Navigate to the SystemToolboxes, find the tool you wish to run, and add it to your model. Double click the tool within the Model and its parameters will open. Fill out the appropriate fields for the tool and select OK. When the tools or variables are ready for processing, they will be colored blue, green, or yellow. Blue variables are inputs, yellow variables are tools, and green variables are outputs. When there is an error or the parameters have not been chosen, the variables will have no color. The model above demonstrates how to take nationwide county data, North Carolina landmark data and North Carolina major roads data and find landmarks in Wake County that are within 1 mile of major roads. The first tool in the model (Select Layer by Attribute tool) extracts Wake County from the nationwide counties polygon layer. Once Wake County is extracted to a new layer, the North Carolina landmarks layer is clipped to the Wake County layer using the Clip tool. The result of this tool creates a landmarks point layer in Wake County. The third tool uses the Buffer tool on the primary roads layer in North Carolina. Within the Buffer tool parameters, a distance of 1 mile is chosen and a new polygon layer is created. Finally, the Wake County landmarks layer is intersected with the buffered major roads layer to create a final output using the Interect tool. Using ModelBuilder has many benefits: you document the steps you used to create your project and you can easily rerun the tool with different inputs after the model is built. ModelBuilder allows users to easily determine if and where problems in the workflow are. When there is an error in the workflow, a “Failed to Execute” message will appear and tell users which tool was unable to execute. ModelBuilder also lets users easily change parameters. In the model used above, you could change the Expression in the Select Layer by Attribute tool from ‘Wake’ to ‘Durham’ and find landmarks within 1 mile of major roads in Durham County. Here at Data & GIS Services, we love finding new ways to map things. 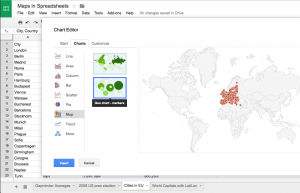 Earlier this semester I was researching how the Sheets tool in Google Drive could be used as a quick and easy visualization tool when I re-discovered its simple map functionality. While there are plenty of more powerful mapping tools if you want to have a lot of features (e.g., ArcGIS, QGIS, Google Fusion Tables, Google Earth, GeoCommons, Tableau, CartoDB), you might consider just sticking with a spreadsheet for some of your simpler projects. I’ve created a few examples in a public Google Sheet, so you can see what the data and final maps look like. 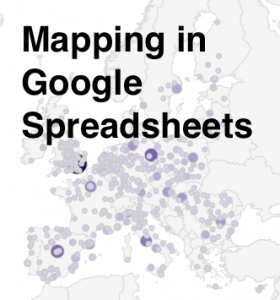 If you’d like to try creating these maps yourself, you can use this template (you’ll have to log into your Google account first, and then click on the “Use this template” button to get your own copy of the spreadsheet). Of course, I was curious about what counts as “location names” and wanted to test the limits of this GeoMap chart. 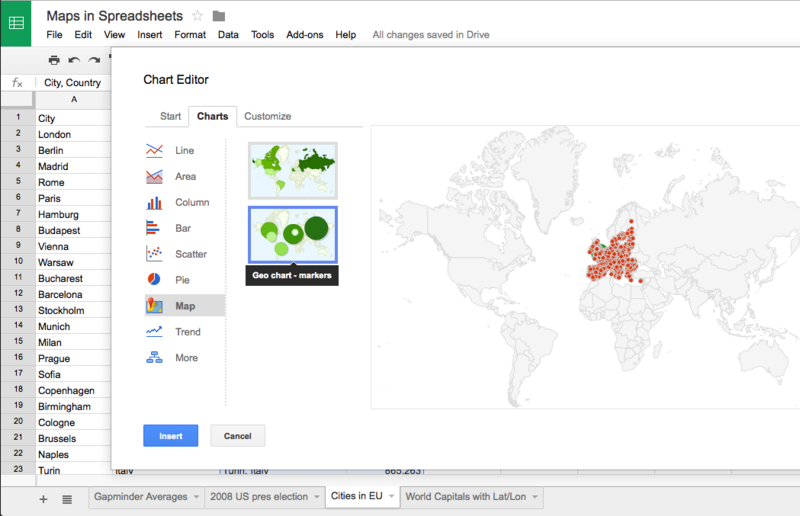 If you have any experience with the Google Charts API, you might expect the Google Sheet GeoMap chart to work like the Geo Chart offered there. In the spreadsheet, however, you have only a small set of options compared to the charts API. You do have two map options — a “region” (or choropleth) map and a “marker” (or proportional symbol) map — but the choices for color shading and bubble size are built-in or limited. Marker maps, on the other hand, allow for much more flexibility. 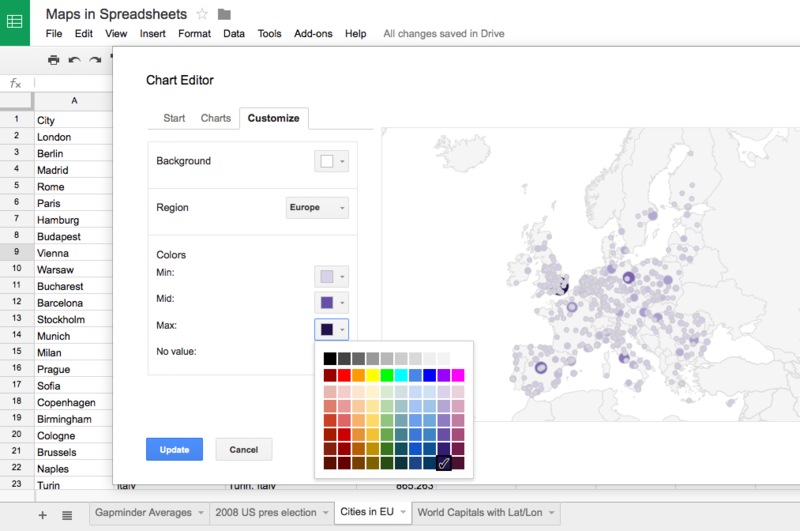 In fact, the marker map in Google Sheets will actually geocode street addresses for you. In general, the marker map will work best if the first column (the location column) includes information that is as specific as possible. As I mentioned before, the word “Washington” will go through a search engine and will get matched to Washington DC before Washington state. Same with New York. But the marker map will basically do the search on any text, so the spreadsheet cell can say “NY”, or “100 State Street, Ithaca, NY”, or even the specific latitude and longitude of a place. (See the “World Capitals with lat/lon” sheet; I just put latitude and longitude in a single column, separated with a comma.) As long as the location information is in a single column, it should work, but the more specific the information is, the better. The default color scale goes from red to white to green. You’ll notice that the maps automatically have a “mid” value for the color. If you’d rather go straight from white to a dark color, just choose something in the middle for the “mid” color. And there you have it! You can’t change anything beyond the region and the colors, so once you’ve customized those you can click “Update” and check out your map. Don’t like something? Click on the map and a little arrow will appear in the upper right corner. 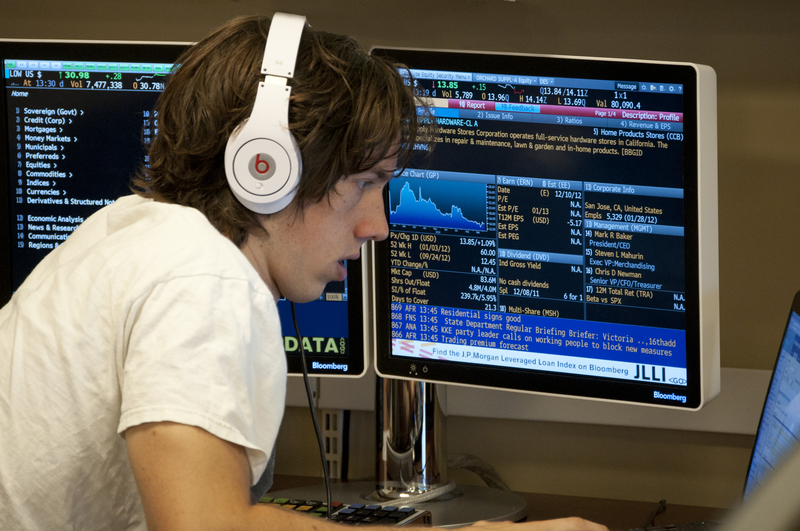 Click there to open the menu, then click on “Advanced edit…” to get back to the chart editor. If you want a bigger version of the map, you can select “Move to own sheet…” from that same menu. So, what are these maps good for? Well, firstly, they’re great if you have state or country data and you want a really quick view of the trends or errors in the data. Maybe you have a country missing and you didn’t even realize it. Maybe one of the values has an extra zero at the end and is much larger than expected. 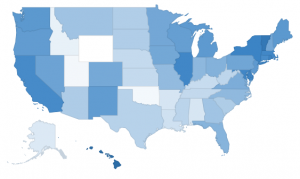 This kind of quick and dirty map might be exactly what you need to do some initial exploration of your data, all while staying in a spreadsheet program. 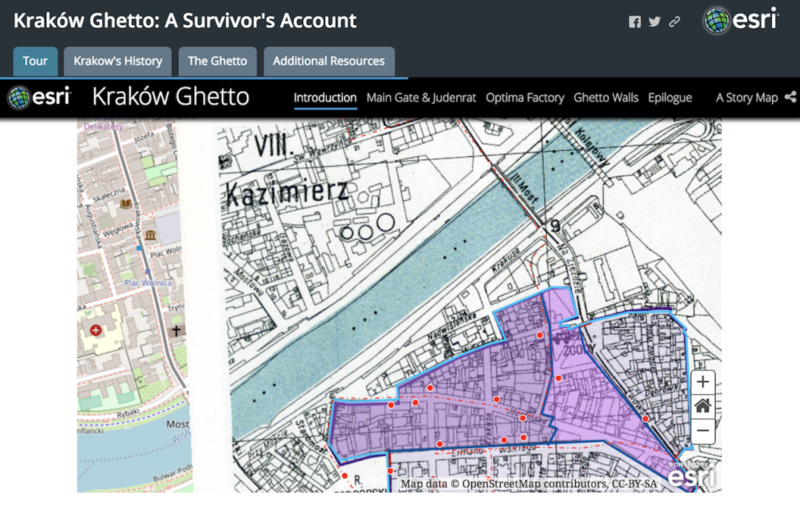 Another good use of this tool is to make a map where you need to geocode addresses but also have proportional symbols. Google Fusion Tables will geocode addresses for you, but it is best for point maps where all the points are the same size or for density maps that calculate how tightly clusters those points are. If you want the points to be sized (and colored) according to a data variable, this is possibly the easiest geocoder I’ve found. It’ll take a while to search for all of the locations, though, and there is probably an upper limit of a couple of hundred rows. If this isn’t the tool for you, don’t despair! 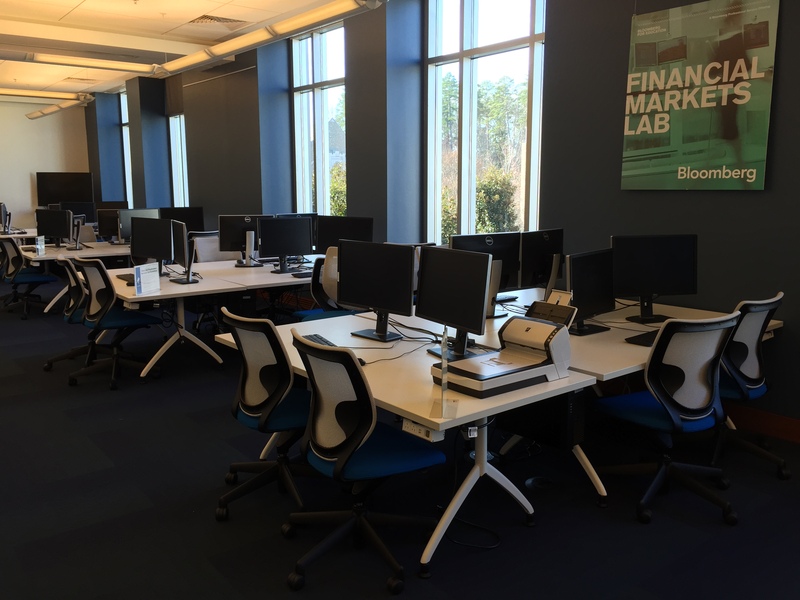 Make an appointment through email (askdata@duke.edu) or stop in to see us (walk-in schedule) to learn about other mapping tools, or you can even check out these 7 Ways to Make a Google Map Using Spreadsheet Data. 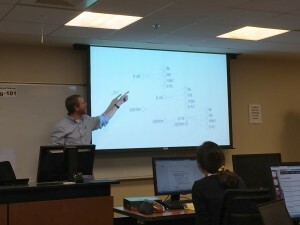 Explore network analysis, text mining, online mapping, data visualization, and statistics in our spring 2014 workshop series. Our workshops provide a chance to explore new tools or refresh your memory on effective strategies for managing digital research. 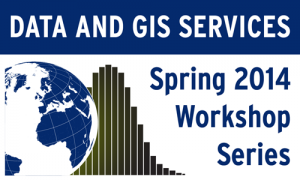 Interested in keeping up to date with workshops and events in Data and GIS? Subscribe to the dgs-announce listserv or follow us on Twitter (@duke_data).